The issue won't get taken up again until 2019 unless Gov. Abbott calls a special session. It’s the final day of Texas legislators’ 85th regular session, and the contentious “bathroom bill” has yet to gain approval in both houses. 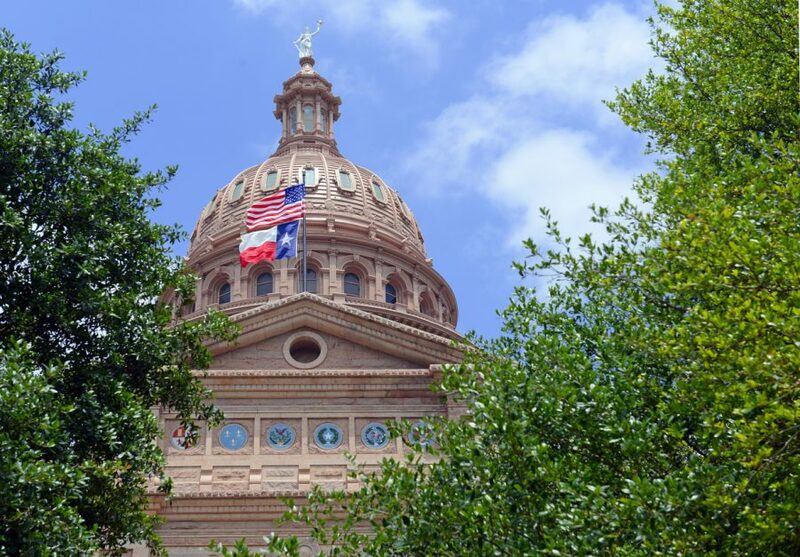 Since the Texas legislature meets every other year, the issue won’t get taken up again until 2019. Lt. Governor Dan Patrick is asking Governor Greg Abbott for a special session. Abbott has not indicated whether he will call one. Last week the House passed an amended version of Senate Bill 6 — the original measure cleared by the Senate. The bill would have restricted facility usage to the gender on one’s birth certificate. It would have applied to government buildings and public schools. It also would have prevented local governments from passing contrary ordinances. Senate Bill 6 was unpopular in the House, where Speaker Joe Straus voiced loud opposition. Straus worried such a bill would hurt Texas’ strong economy. Companies like Facebook, Apple, the NFL and some celebrities threatened a boycott if it passes. The Texas House whittled SB 6 down to deal only with public schools. The revised language was tacked onto a bill dealing with school emergency operations. It would have mandated that students identifying as transgender use facilities according to their birth certificate. It also allowed schools to accommodate students with single-occupancy facilities. The Senate refused to pass the House’s amended version, saying it stripped away too much of the original measure. Senate Bill 6’s author Sen. Lois Kolkhorst said the bill was necessary after President Donald Trump rescinded an order by President Barack Obama. Obama’s order mandated schools allow students to use the bathroom of their choice. Trump’s reversal left the controversial issue up to state and local governments. Abbott had promised to sign any bathroom legislation that reached his desk. But both the House and the Senate are refusing to budge. Patrick claimed that Straus “has not compromised at all.” The lieutenant governor is also asking for a special session on a property tax measure that has failed to pass. But he insists a special session will be Straus’ fault. Only the Texas governor can call special sessions, which last 30 days. The governor may call as many sessions as he or she deems necessary. Some people are willing to put women and children at hazard for money. And then some people just enjoy promoting perversion, even if there is no money involved. The NFL, Facebook, and Apple are three of the many businesses that would support sexual perversion for free. So let me get this straight. We need leaders to tell us that allowing men into the girls locker rooms and bathrooms is something they allow. The people should demand that any legislator that is unsure if a man should be allowed in the girls bathrooms etc or wants to allow men into the girls bathrooms should resign or be fired immediately. These companies should stop their services to Middle East and any country that do not support LGBTQ rights.